Your BMW is usually the star of the show. Its reputation for enhanced engine performance, superior handling, and advanced technologies are only complemented by its sleek and stylish body styles. Carmedix’s BMW customers are usually in the fast lane, but they occasionally stop by our facility in Durham, NC for routine maintenance services. Expert engineering and craftsmanship have placed you head and shoulders above other high-end sport vehicles. However, it’s no accident how to keep your BMW at peak performance. We have a list of preventative maintenance services that we provide for all Durham’s BMW drivers. Our goal is to make sure you avoid BMW repairs altogether. It’s possible to have a dedicated BMW repair team–Carmedix–to perform all the necessary inspections, diagnostics, and maintenance services to keep you on the road. However, even with a strict maintenance schedule, normal road travel can cause wear-and-tear that leads to a BMW repair need. Our BMW specialists will perform the quality maintenance services that enhance your vehicle’s overall performance. Your BMW’s most important maintenance service is the oil change. We’ll design an oil change schedule for your BMW that protects and preserves its advanced engine performance. Our maintenance also includes tune-ups, fluid services, filter changes, maintenance inspections, diagnostic services, and more. You bought your BMW for quality road travel, not to spend time in our service bay. We’re BMW enthusiasts that welcome any BMW repair need that you have. If you’ve noticed any performance issues with your BMW’s brake pads, exhaust system, transmission, engine, steering, suspension, A/C, electrical services, fleet services, and more, just stop by our shop at your earliest convenience. 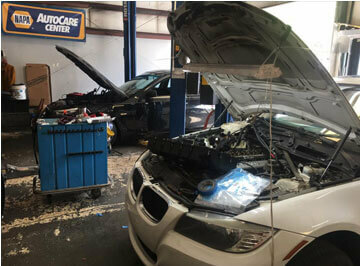 Our BMW repair experts stand confidently behind all of our BMW services. Schedule Your BMW Repairs Today! 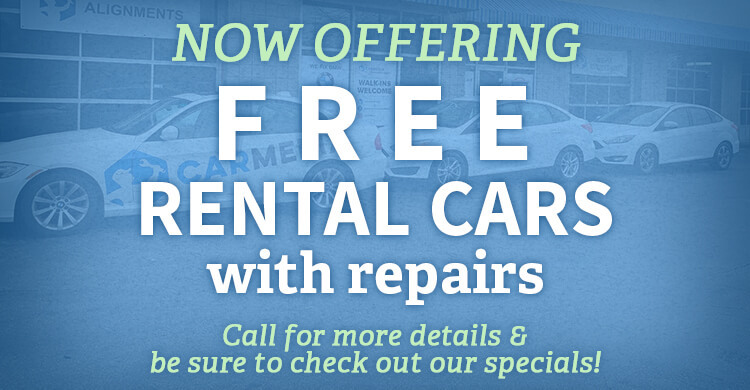 Choose the right repair shop–Carmedix–for your BMW repairs and maintenance. Don’t trust just anybody with your prized possession. We’re the Durham area’s preferred service destination for all models of BMW. Our personalized service expertise makes us a better option than any dealership’s repair shop. At Carmedix, you’re more than just another number. At our shop, you’re part of our family of customers, and also a fellow BMW enthusiast. We know how to put and keep your BMW in optimal condition. Give us a call today at 984-888-0791 to schedule your next BMW repair or maintenance service appointment. You can save time by scheduling right now using our convenient online scheduling system. Next time you’re in the area–2105 NC 54 #5–feel free to stop by with any questions or concerns about your BMW’s performance. We gladly accept all of our walk-in customers.